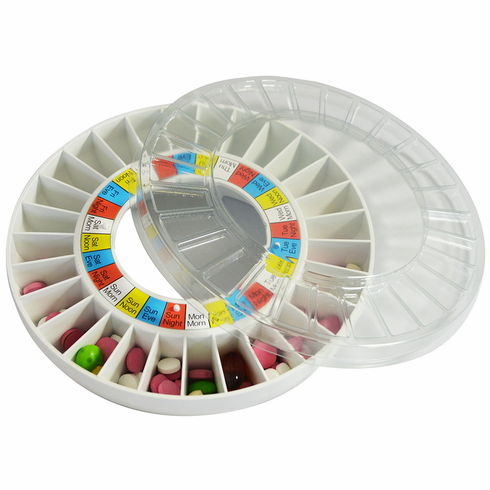 Have the convenience of an extra tray loaded with medications for your e-pill Automatic Pill Dispenser e-pill MedTime PLUS and e-pill MedTime STATION PLUS (sold in Europe as Careousel). Only fits e-pill SKU 992030, 993040 and 992020. Each medication tray comes complete with a clear cover.